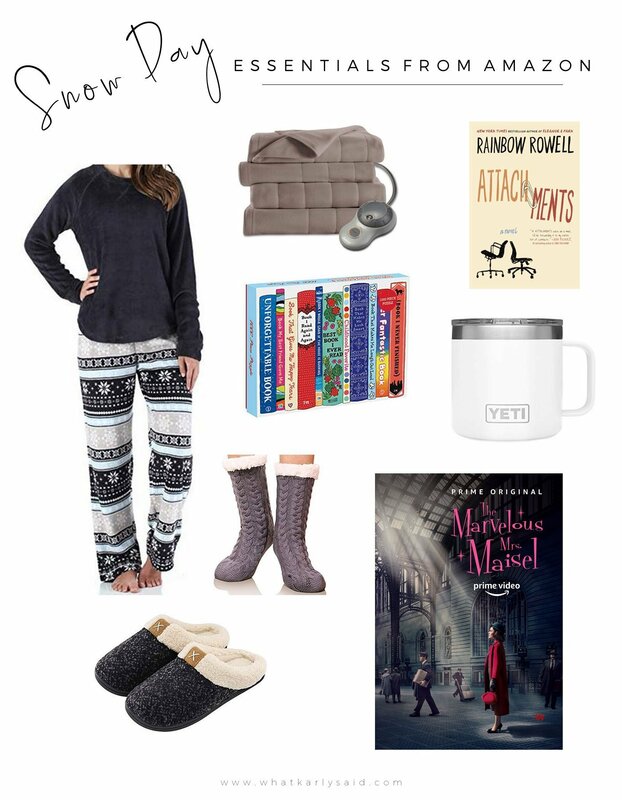 Probably the most important part of a snow day is the attire – pajamas, duh! Why bother with “real” clothes when the plan is not to leave the house? Plus, snow makes everything seem that much colder so you might as well snuggle up in cozies. A warm pair of socks and/or slippers complete the ensemble. 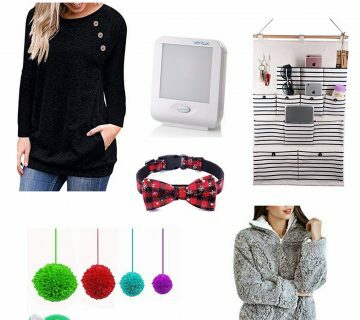 Don’t forget a heated throw! I don’t personally own this insulated mug, but everyone raves about it so there must be good reason! It sounds perfect for cold, snowy days when you don’t feel like leaving the couch to microwave your coffee or tea multiple times. Reading material is a must, of course. My current book – the premise sounds so cute! Might I also suggest this suspenseful thriller (free for Kindle Unlimited subscribers). Feel like working your brain a bit? Puzzles are the answer! We’re big fans of them over here. My in-laws gifted me the most adorable puzzle for Christmas that I can’t wait to start. Last but certainly not least, Amazon even has us covered for T.V. entertainment. Prime is worth it alone to have access to a few of their original series’. The second season of Marvelous Mrs. Maisel is in our immediate snowy future, and we also recently watched/loved Jack Ryan. There’s something for everyone! How do you like to spend a snow day? Also see my 7 ways to beat the winter blues. I watched the first season on my own, and since I raved about how funny it was to Ryan he wants to watch it now before we start the second season. I’m like sign me up since I’ll take any excuse to re-watch all of it, lol! A snow day is the perfect excuse to stay in and do whatever you want to do! A cup of tea and sitting watching tv and crocheting is it for me! I think I might be doing that today myself! That mug is definitely in my cart since so many of you rave about it! The Yeti mug is on my list. To keep coffee warm for the entire morning at the office would be a dream! We just finished watching Jack Ryan, too! We also recently watched Homecoming, starring Julie Roberts. It was really good. Hi from Michigan! Love all your picks. All these items are so necessary! And I love a lot of them, lol. I always forget about our Amazon Prime account in regards to shows, but need to check out some of their original series. And I’ve been LIVING in my slippers all winter long lol. Amazon has some great shows, I definitely recommend checking them out!